“I need space.” You’ve probably heard this or said it. What does that even mean? It’s about holding space for emotions. To understand each other and ourselves, we need to make room for thoughts and feelings. Holding space is essential to wellbeing and relationships. It’s like giving a gift of gentle attention to yourself or someone else. To make sense of what we think and feel, we need each other’s input. We learn about the world and ourselves through relationships. Holding space is about being present and emotionally available. Noticing your emotions makes them more manageable. Tuning into emotions is vital to connecting with others who are important to you. A definition of holding space is: To notice thoughts and feelings within you and between you and another person, to acknowledge them. Holding space is the process of witnessing and validating someone else’s emotional state while simultaneously being present to your own. Modern life puts a great deal of pressure our relationships. Does this sound like you? You struggle to balance work, family and “me” time. You scramble to keep up with loved ones, friends and colleagues. Maybe you’re juggling childcare, elder care, house care, health concerns or car problems. You wonder when you’ll ever find time for your to-do list. What about your partner’s wants and needs? How do you let all those emotions in? Do you feel stretched to the breaking point? Some couples seem to take life’s demands in stride. They seem to draw strength from each other. How do they do it? So what does it mean to put the relationship first? 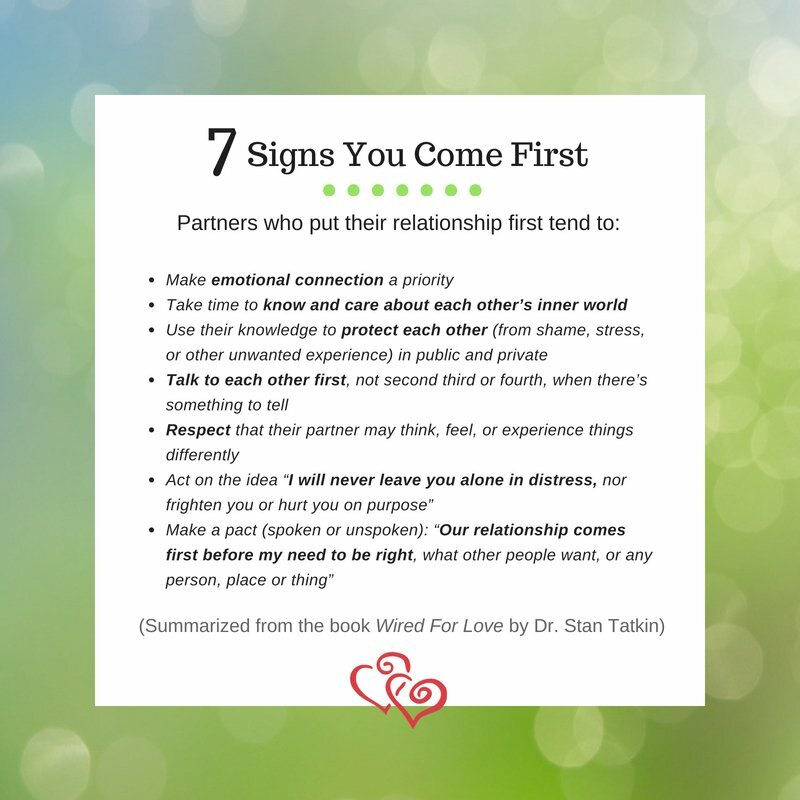 Making your spouse or partner a priority means your partner’s emotional needs are as important as your own.